Simple Object Access Protocol(SOAP) adapter in one of the powerful adapter provided by Oracle Integration Cloud Service(ICS). The SOAP adapter can consume any external SOAP API in an ICS. Service can be passed as payload to an external SOAP endpoint by the SOAP Adapter. Any response received from the endpoint can be sent to the next action in the integration for further processing. Supports only HTTPS protocol-based SOAP endpoints for accepting incoming SOAP requests. Allows invocation of external SOAP endpoints that are unprotected and protected using HTTP Basic Authentication and WS-Username token-based authentication. 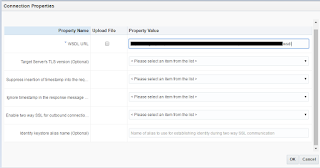 Let's see how to create a SOAP connection in Oracle Integration Cloud Service. Identifier would be automatically picked up based on name entered however we can edit it. Username Password Token: Secure webservices using WS-Security username/password authentication mechanism that is a simple mechanism to secure services. It enforces user to provide Username Token security header in the SOAP requests. No Security Policy: If don't want to secure your service. 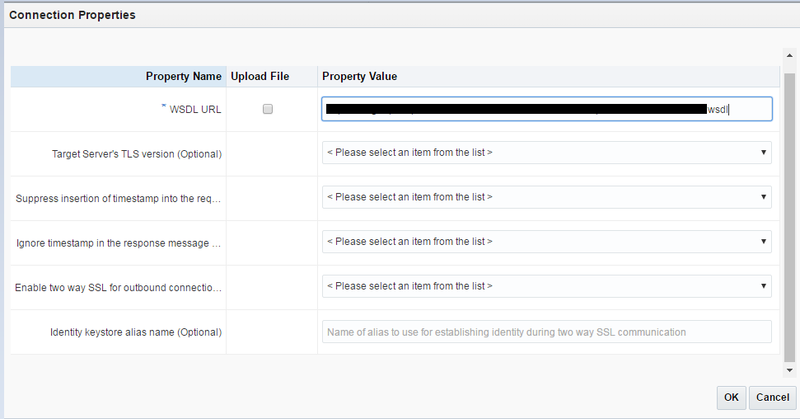 If the external service is deployed on premise environment then select Agent. In my case service is on cloud so don't require to select Agent. Such a great information are there in your post and this will guide more people.